The artisan Apimiel Swiss honey is a beautiful gift for any sweet occasion, as well as a delicious and nutritious treat for any pantry! AromaStick is the first Swiss company that produces 100% natural essential oil inhalers. You will be more focused and energetic with their aromatic inhalers! Breitling is a Swiss watch company, accompanying the world of competitive sports, automobile and aviation. They guarantee high quality and 100% Swiss made instruments. Cailler is Switzerland’s oldest chocolate brand still in existence. Try this chocolate and you will understand why Swiss chocolate is truly the best in the world! Maison Caran d’Ache is a company that produces writing and drawing instruments of the highest Swiss quality. Express yourself artistically from childhood to adulthood! Cenovis spread is a cult vegetable yeast spread from Switzerland. Cenovis improves the health of your skin, hair and nails and is 100% natural, without any chemical additives. The fresh and light Chirat white wine vinegar is naturally flavored with herbs and spices. It is a must have for your pantry throughout the whole year! Experience the popular smooth taste of the Gerber fondue! The classic Gerber fondue is a wonderful flavor of the highest quality Swiss cheese. Discover the crispy light range of chocolate wafers in different flavors! Who doesn’t love crunchy wafers with a creamy filling and homemade Swiss chocolate? Kiener creates charming and sturdily constructed Swiss toys, loved by kids and adults alike. From wooden puzzles, music boxes, little mosaics and colorful mobiles; your kids will be mesmerized! Knorr is the leading brand in the production of dehydrated soup mixes and condiments. Original ideas, innovation and appreciation for tradition – is what this brand is known for. This Swiss hand cream is a unique combination of active ingredients in a futuristic and refined airless glass dispenser. Feel the difference and enjoy the benefits of this one-of-a-kind product! Lindt products are a symbol for the world-renowned Swiss chocolate. The Swiss chocolate pioneers combine tradition with creativity to bring you the best products that money can buy. Minor is an all-natural chocolate. Taste the complexity of natural ingredients in one single piece of creamy, dreamy chocolate. Mirador is a finely balanced blend of herbs and spices, carefully selected to bring the best out in your cooking. A unique vegan powdered spice for all your fresh veggies and salads. This Swiss company combines ingenuity and simplicity, which distinguish the Mondaine watches from every other watch in the world. Find your attractive piece of contemporary design! Nestle is the world’s largest food and beverage company. Their products and brands will accompany you from birth through adulthood, breakfast to dinner, at home and on the go. The Ragusa chocolate bar won the hearts of Swiss consumers with its smooth praline filling, whole hazelnuts and original rectangular shape. Most importantly, it is a 100% natural! Ricola is a Swiss herb candy with over 80 years of history. The candy is famous for its unique delicious taste and soothing effect on the mouth and throat. With its unique taste, the Rivella drink brings refreshment and symbolizes the active lifestyle of Switzerland. Refresh yourself with the uniquely flavored Swiss soft drink! Sugus is Switzerland’s most popular soft candy. Discover the classic for generations. This fruit juice candy will transport you back to your childhood! Swiss Advance products will bring you closer to nature with their high-quality barbecue tools. Their contemporary smart design will make food preparation easy and enjoyable. Add the unique flavor of these organic herbs to your dishes for an exquisite culinary experience. Discover the premium Alpine herbs, such as wild garlic, basil, oregano, parsley and many more. Reawaken your taste buds and immerse yourself in the unique Toblerone chocolate taste experience. A premium combination of the finest Swiss milk chocolate, almond nougat and honey. Victorinox is a family company with over a 130 years of tradition and experience. The brand holds their strong values through high quality production and innovative design. Wander is a Swiss food products company that manufactures high quality food for a unique drinking and dining experience. All over the world, people start their days with Wander products. Let yourself be inspired by the broad range of products this company has to offer. Every item is an ideal combination of dependability and style. For customers who believe in top quality at a reasonable price. Zweifel is a Swiss chips family company known for the production of Switzerland’s favorite chips. Their chips are always fresh and ready for consumption, everywhere and anytime. Basler Leckerli is a Swiss brand, best known for their production of traditional Swiss cookies. Enjoy your Swiss biscuits with your morning coffee or afternoon tea! Blevita is one of Switzerland’s most healthy biscuits brands. These are little crunchy bites you can munch on in between meals. Take them with you and enjoy wherever, whenever you want! Candida is your first line of defense against tooth decay and dental plaque! Premium ingredients at an amazing value, in addition to complete dental health and wellness! A unique blend of chocolate and cocoa makes Caotina chocolate drink a rich, well-balanced delight, with a pure punch of real Swiss chocolate. Savor its delicious flavor and sweet energy boost! Chocolat Stella Bernrain is a imaginative Swiss chocolate company that produces high-quality chocolate specialties. Be surprised by the constant innovations of this Swiss brand! While you are enjoying your vacation, don’t forget to take care of your skin with Daylong sun care products! Before and after sunbathing, nurture your body with Daylong! The Familia Swiss Bircher muesli is the perfect, healthy “fast food”. Familia muesli gives you a long lasting energy boost and it also increases your performance throughout the whole day! Whether you are starting the day or craving a snack between meals, Farmer Swiss cereal is the natural healthy choice for you! Their unique flavors will leave you happy and fulfilled! Enjoy the fruity, tangy or chocolaty taste of the Halter classic candies. Made from natural ingredients and sugar-free! Celebrate summer with cool and fruity Halter! Hero is one of the most renowned international healthy food companies. This brand will surely delight you with their conserved fruit and vegetable products! Searching for healthy first baby foods? Look no further. Hero Baby offers a complete range of baby and toddler food and milk products. Pure taste of fruit and vegetables without any artificial preservatives! Kambly is Switzerland’s largest biscuit manufacturer. You will be delighted by the delicious selection of these Swiss cookies! From savory to sweet, chewy and crunchy, the brand has a biscuit for every taste! Le Parfait offers the tastiest, healthiest and most natural products. Le Parfait pate brings pleasure with new recipes, packed in convenient and colorful tubes! Maggi offers quick and easy solutions for your meals. Hence, they create bouillons, soups, seasonings and sauces, which bring out the best in your cooking. Nescafe is the deliciously rich Swiss coffee that has become the world’s leading coffee brand. From a smooth black coffee to a ice-cold coffee shake – you can have it at home, at the office or on the go! Ovomaltine provides healthy, sustainable energy, which increases your physical and mental performance. In addition to the 13 essential vitamins, the Ovomaltine drink is enriched with calcium, magnesium and iron. Stocki will make your life so much easier! No more spending hours on peeling potatoes! These creamy mashed potatoes are perfect to go with any meat or vegetable dish. Thomy is a world-known Swiss condiment brand with a cult following. Have an outstanding taste experience every time you try these products! Elmex brand develops high performance dental care products with scientifically proven benefits. The various Elmex products offer complete dental care protection for the whole family. The Swiss Military brand offers world class products and is highly regarded by those who value affordable luxury, versatility and uniqueness of design. 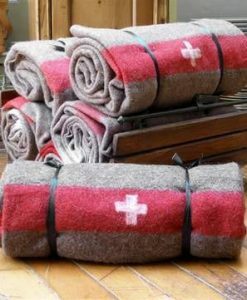 Wollbetten is a family company with their own production, based in Switzerland. The company was founded in 2001. Since then, they are producing a wide range of products which promote health, relaxation, restful sleep and stimulate the circulation. Arise Swiss Alpine cosmetics offers the best care for you and your babies! The alpine plants, which are the basis of the Arise cosmetics, grow in an untouched and unpolluted nature. They are the best because of the sustainable development. Bachmann is the market-leading bakery in central Switzerland. This modern and innovative family business have more than 100-year-old tradition and a very distinct sense of quality. Rubis is a Swiss company from Stabio. All of their products are handmade from the best steel, consistent with all the rules of traditional craftsmanship. And during all processes, they test and control the products repeatedly. Trauffer is a small family business in the Bernese Oberland. They have been the cult since 1938. The company is already in the 3rd generation and produces toys for children at the highest quality level. Every Swiss child knows the little cow with the golden bell. Curodont is a Swiss brand which offers biomedical products for teeth preservation. All the products are based on innovative, award-winning Curolox Technology. Jowissa is a high-quality Swiss-made watch brand. They produce multifaceted watches, combining style and sophistication. Also, Jowissa offers outstanding value for the very acceptable price. Luminox specializes in Swiss-made men’s watches that are easy to read in low-light situations, thanks to their innovative self-powered illumination technology. Their watches are divided into four distinct categories – Sea, Air, Land, and Space, and each of them exhibits an impressive glow in the dark. Jacqueline Piotaz Switzerland is an uber-luxury line of Swiss skincare products. The organic ingredients are the key factor in their production. They also use advanced biotechnology. In combination with nature, it provides the luxury, effective skincare. Varsy’s is Luzern based startup dedicated to promoting Swiss myths, legends, and culture. It was founded in 2018 by Varsy Buchmann.